This book is science fiction and dystopian of some of the best kind. 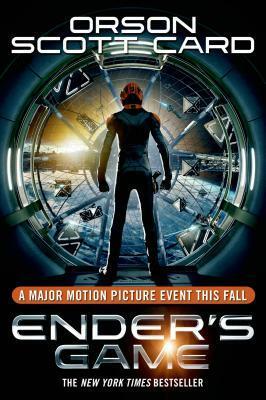 The movie based on this book is due out in November of this year, so grab it in print before you enjoy it in theaters! “In order to develop a secure defense against a hostile alien race’s next attack, government agencies breed child geniuses and train them as soldiers. A brilliant young boy, Andrew “Ender” Wiggin lives with his kind but distant parents, his sadistic brother Peter, and the person he loves more than anyone else, his sister Valentine. Peter and Valentine were candidates for the soldier-training program but didn’t make the cut–young Ender is the Wiggin drafted to the orbiting Battle School for rigorous military training. If you like to read about aliens, futuristic space wars, kids saving the day, or even if you like video games, definitely pick this up.